UEM Sunrise Berhad (“UEM Sunrise” or the “Company”) (Company No. 830144-W) is a public-listed company and one of Malaysia’s top property developers. It is the flagship company for township and property development businesses of UEM Group Berhad (“UEM Group”) and Khazanah Nasional Berhad (“Khazanah”). UEM Group is wholly-owned by Khazanah, an investment holding arm of the Government of Malaysia. The Company has core competencies in macro township development; high-rise residential, commercial, retail and integrated developments; as well as property management and project & construction services. Visit the UEM Sunrise Website. In Malaysia, UEM Sunrise is the master developer of Iskandar Puteri, one of the five flagship zones of Iskandar Malaysia, Johor and is currently undertaking the development of the area into a regional city like no other. Upon completion, Iskandar Puteri will become the largest fully integrated urban development in Southeast Asia that will provide significant investment, financial and business opportunities to the economic growth and development of the region. Gerbang Nusajaya, the second phase development of Iskandar Puteri is a 4,551 acre project which will feature various catalytic developments including Nusajaya Tech Park, Motorsports City, Signature Residences and Gerbang Nusantara. Gerbang Nusajaya will be developed over a period of 25 years and will include components such as retail parks, campus offices & industrial parks as well as residential precincts. In the Central Region of Malaysia, UEM Sunrise is renowned for its Symphony Hills project in Cyberjaya. An exclusive residential development featuring the country’s first Connected Intelligent Community (“CIC”) as well as the numerous award-winning high rise residential, commercial and mixed-use developments largely within Kuala Lumpur’s affluent Mont’Kiara enclave in Kuala Lumpur, Kuala Lumpur City Centre, Bangi, Shah Alam and Seremban. 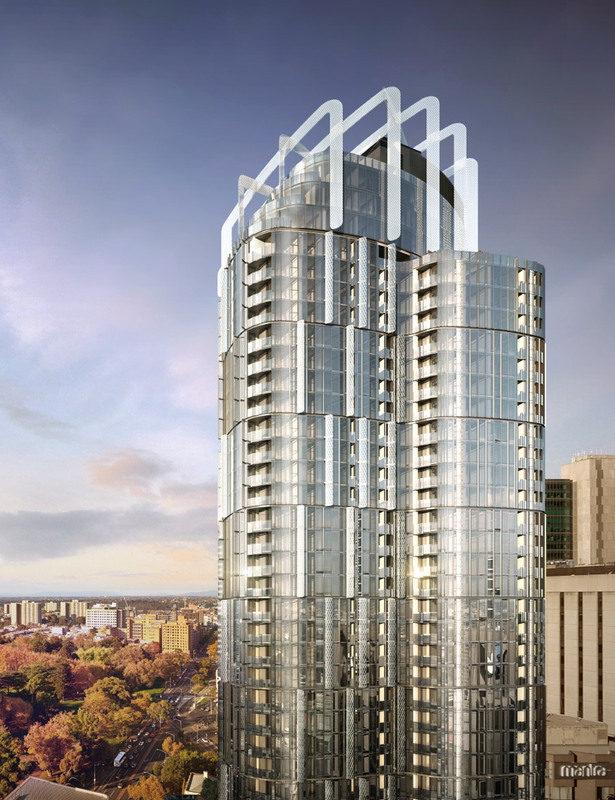 Internationally, UEM Sunrise’s presence extends into Vancouver, Canada via Quintet mixed-use development and Aurora Melbourne Central in Melbourne, Australia. It also oversees the sales and marketing of Marina One and DUO mixed-use developments in Singapore. The Company retains a landbank in Durban, South Africa. Brought to you by the developer of Aurora Melbourne Central. In the heart of the CBD, this alluring 92-storey tower features luxury 1, 2 and 3 bedroom residences with breathtaking views over some of the city’s most treasured landmarks, towards Port Phillip Bay, the Dandenong Ranges, lush public gardens and beyond. Importantly, this is the only residential development in Melbourne with direct underground connection to the Melbourne Central Train Station and the city’s largest continuous retail precinct. Enjoy unprecedented convenience and connectivity to everything that truly matters including world-leading universities and cultural attractions. Indulge in the luxury you deserve and have superb shopping, entertainment and dining only an elevator ride away. Ultra luxurious living on the boulevard. With its sought-after corner location, Mayfair establishes its place amongst St Kilda Road’s most remarkable buildings. Partnering with internationally renowned firms Zaha Hadid Architects and Elenberg Fraser, this is UEM Sunrise’s third project in Melbourne; an exclusive collection of luxury residences in the world’s most liveable city. The tower’s fluid, organic form reflects its leafy surrounds; with looping balconies drawing inspiration from sand dunes and waves. Sculptural curves are mirrored internally, where generous interiors meet bespoke detailing. Perfectly positioned with unrivalled views towards the Shrine of Remembrance, Royal Botanic Gardens, Albert Park, Port Phillip Bay and the CBD, Mayfair is luxury reimagined. For more information, visit the Mayfair website. Latest news and construction updates.